It’s the time of year when the leaves are turning and the air is getting noticeably crisper. And although it may be tempting to hunker down inside and hibernate for a few months, there’s still plenty to do in mid- to late autumn. 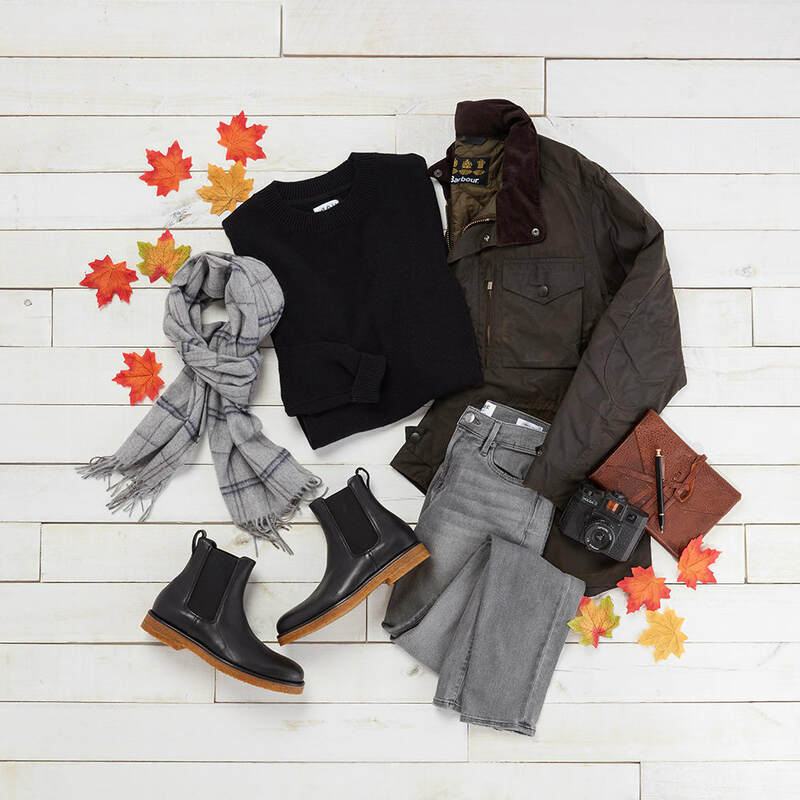 We asked Trunk Club stylist, Kat, to give some insight on what to wear during those last few days of fall. 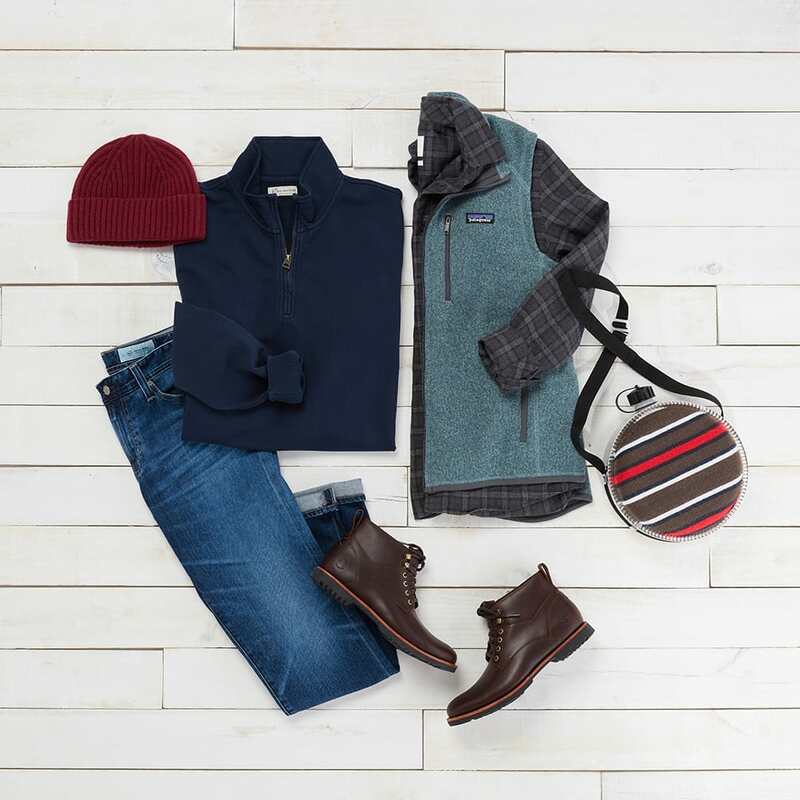 Along with creating three stylish looks, she’s added weather-appropriate gear to each outfit to go along with whichever activities are most up your alley. 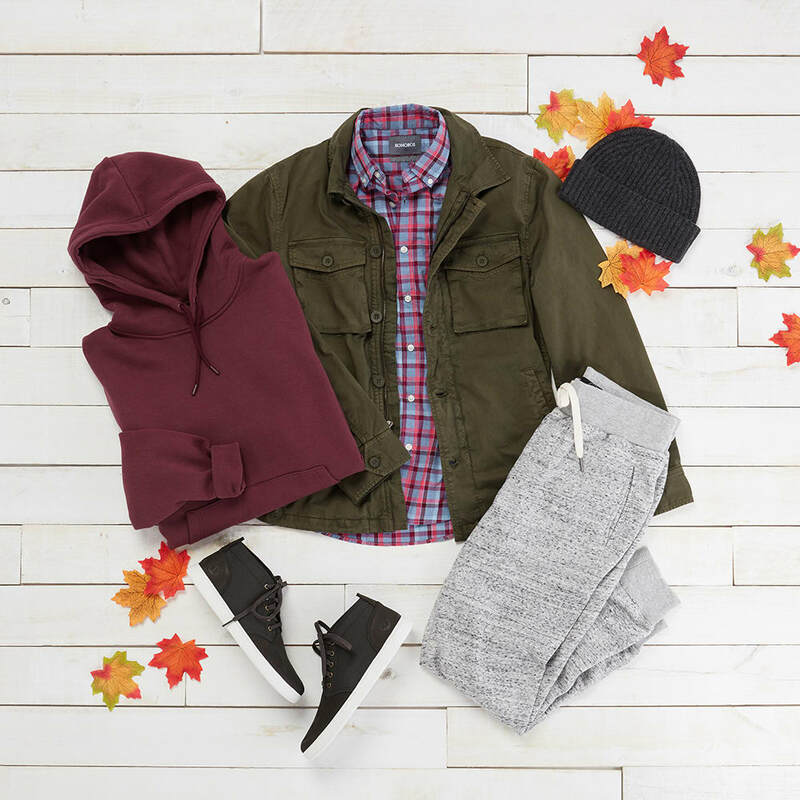 Whether you’re pumpkin picking with the fam, tailgating with your crew, or at a weekend game with the kids, Kat loves this look because it works for any guy, any age, at any time in his life. And since the last thing we want for you on any day is cold feet, the proper shoes are important. Some of your favorite boot styles (chukka, Chelsea, cap toe) come in waterproof materials, which offer great protection if you’re stomping around a field... or if one of your friends spills a beer (party foul). When Kat says an outfit is going to work, we trust her. 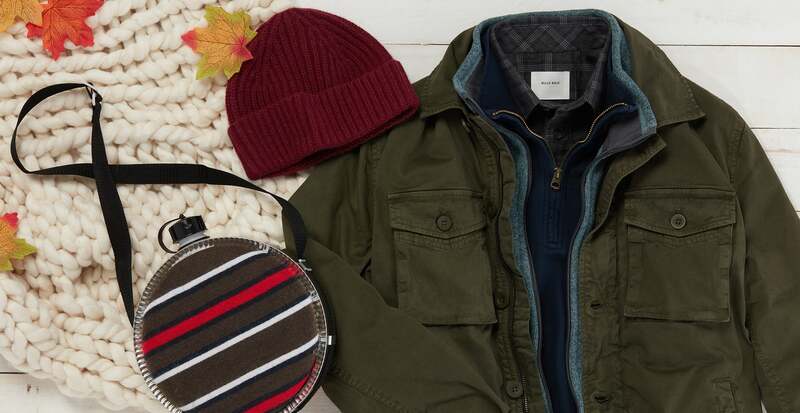 Layering can be a challenge to pull off, but for extra chilly days and evenings, it’s key. A flannel shirt is a great place to start. Often made from brushed cotton, it keeps you warm and feels great on your skin. Add a simple crewneck sweater over top to stay warm, and then a weather-resistant jacket to keep you dry. A cashmere scarf in a simple windowpane pattern is the luxe finishing touch.